Euonymus japonicus ‘Microphyllus’ provides a nice pop of bright green foliage color year-round. Its compact size makes it perfect for filling in small foundation spaces in the landscape. Mature plants max-out at only 2-ft tall and wide, making it useful for planting in front of low windows, using as an accent in ornamental beds, small hedges and even container plantings. Plants feature small, dark green and bright yellow two-toned leaves. Plants do produce small green flowers in summer but they are inconspicuous. 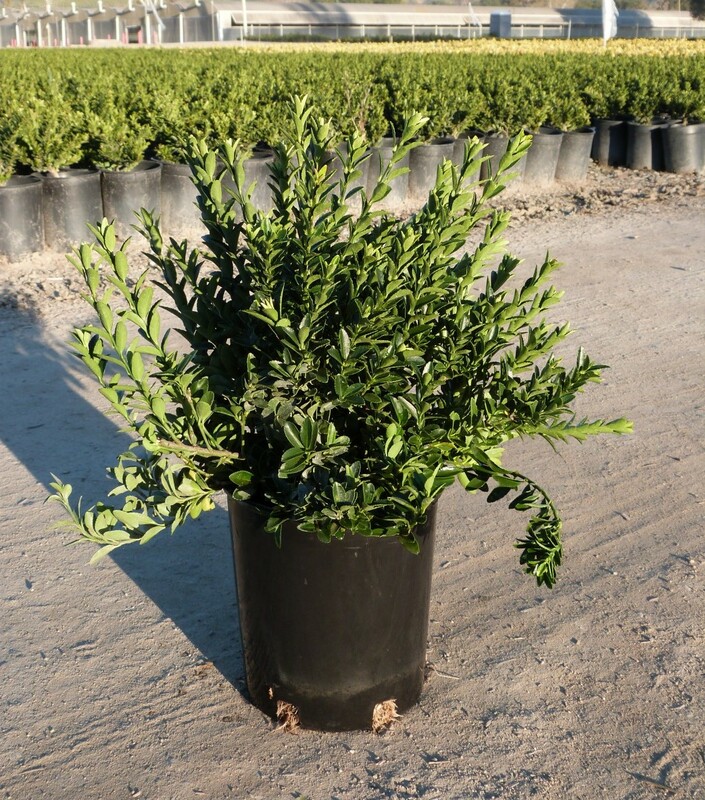 If you live in a drier climate but would like to mimic the look of formal boxwood plantings, Euonymus japonicus ‘Microphyllus’ is an excellent plant choice; they also do not require much trimming to maintain a formal appearance. Plants are susceptible to very few pests and can be grown in a variety of soil types. Plant in either sun or shade. Once established plants have low water requirements.